As we continue with another potential Chiefs draft prospect, we will stay with the secondary. Safety Deionte Thompson is a long, rangy defensive back who has the ability to play like a true center fielder in coverage. At Alabama, Thompson also had the benefit of playing in a national championship game in every one of his college seasons. Thompson displays great speed for a tall safety. His ability to turn and run with receivers going deep is just as good as his closing speed when crashing down on short to intermediate routes. When Thompson recognizes a run play up the middle he rarely hesitates to come up and force the ball carrier to have to make him miss. With his speed, Thompson is comfortable as a single high safety and he can chase down any route that he has to turn and run with. When Thompson sees a play developing in front of him, he does not waste much time in getting to the spot on the field that he needs to be at. Sometimes Thompson may be too wild when trying to blow up a play. But, this is more of a benefit than if he played more timid. Thompson loves to thump and lay the lick on opponents, which is more common in this safety class compared to others. Similar to his aggressiveness, Thompson displays a nastiness to him on the back end. When needed, he can bump receivers off of their route and disrupt timing. Thompson also has a knack for flying into a ball carrier at a high angle in the open field. This has forced fumbles over the middle and made ball carriers not want to run at him later on. Thompson loves to make opponents mad and his physicality is generally superior to theirs. Overall, Thompson is not an awful tackler. But, his wildness can cost him at times. Either he dives low too quickly and whiffs, or he is unable to wrap up every time. For example, in the game against Ole Miss from 2018, Thompson was a little too hard pressed in some tackle attempts. He did make nearly three times as much tackles in 2018 though, compared to 2017. So, Thompson is definitely continuing to develop in that regard. Like his tackling, Thompson can sometimes get caught in play recognition. Overall though, he is good at reading routes in pre-snap and taking good angles as a center fielder type of safety. Generally, Thompson is not fooled by routes, as much as he is the opposing quarterback’s eyes. With Eric Berry hardly seeing the field the last couple of years and the rest of the safety depth chart being very thin, Thompson would likely have an instant impact to the Chiefs. What he brings to the table, combined with the big game experience Thompson had in college would also be a plus to Kansas City. With his style of play Thompson, he would likely be above guys like Daniel Sorensen and Eric Murray already. He continued to grow each year at Alabama. So if the Chiefs draft Thompson, he could still be coming into his own at the right time for Kansas City. Thank you for reading. 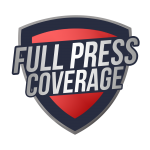 Be sure to check out more draft profiles on Full Press Coverage, in advance of the NFL Draft.